Several owners of the Apple iPhone 6s (#iPhone6s) have been plagued by a common problem on overheating accompanied by quick battery draining. Some users have noticed that their iPhone felt just warmer than it should or so hot like it might burn their skin. Either way denotes that there’s something wrong with your phone and that you need to do something about it. It could be a software issue or worst, triggered by a faulty hardware. Read on to learn what could have possibly caused your iPhone to overheat or become warmer than normal and how to fix it. Overheating problem is usually accompanied by quick battery draining as what many iPhone users have experienced. If it’s not the hardware, it’s all in the chipset. Your iPhone is overheating because its processor is busy completing tasks all the time. Your iPhone is a handy version of a computer which has a powerful chip or CPU. The CPU acts as its brain, which is capable of performing all tasks and requests inputted by the end-user. And just like with computers, your iPhone can also become warmer than normal when the CPU works over time. You will notice this effect when you play video games extensively without letting your iPhone rest for a moment. Eventually, your device temperature rises until it exceeds the normal operating temperature which is 35 degrees. And at that point, you can consider that your iPhone is overheating. Typically, your iPhone will give you an alert message telling that it has already exceeded the normal temperature range and that it needs to cool down before you can use it again. If you see that message, then you better do as it says to prevent damaging certain components on your device so as to avoid having serious problems later on. During this state, you will notice a few changes on your iPhone’s performance. When this happens while charging, your device will stop charging. Your iPhone screen will also become dimmer or sometimes goes black and the camera flash is also disabled temporarily. Your signal may also become weak as cellular radios enter a low-power state. Navigation functions will not be affected and should be working fine. This means you still can use your iPhone to give you audible turn-by-turn directions if needed. Corrupted files or faulty apps. Contrary to what most people believe, 99 percent of iPhone overheating issues are linked to a software problem. Sometimes, an application can become corrupted and affects certain functions of your iPhone including the processor. For example, certain software bug is corrupting some files, which revs up the processor up to a hundred per cent and thereby causing the iPhone to overheat or battery to drain fast. Software bugs. While third-party apps are prone to this, some stock or built-in apps can sometimes misbehave due to certain factors like when a buggy update is installed. Given the fact that third-party apps are designed by non-Apple developers, there is a higher chance of the apps programming structure to not blend well with the iOS platform. As a result, the device is showing such unusual symptoms like overheating. Meanwhile, downloading of third-party apps that contain some bugs or malware can also mess up the iPhone system and trigger similar issues to arise. Downloading/uploading of multiple complex files at one time. Downloading and uploading requires your iPhone processor to work hard in establishing connection between the server and your device to complete file sending and receiving. The larger the files you upload or download, the more workload it would be for the iPhone CPU to complete. Eventually, it will cause the device to become warmer or overheat in time. Low or no signal. Network signal issues are also among the known culprits. This occurs when using your iPhone in places where signal strength is low or no service is available. Your iPhone will attempt to reconnect or search for any better network signal to acquire. And this means another workload for the processor to carry out. This is one of the main reasons as to why it is highly recommended to turn off network-related services in areas with poor or no service and enable Airplane mode instead. Aside from overheating, using your iPhone in places where signal strength is poor or has no service at all can also cause your battery to die quickly. Software updates. Overheating is also recorded among the complaints raised by iPhone 6s owners after installing software update in their respective devices. For some reasons, something in the update is causing the iPhone to become warmer than usual. Should this be the case, your best option would be performing an iOS restore and restore your iPhone to a previous backup. Otherwise, contact Apple Support or your carrier’s helpdesk to escalate the problem so they can tagged it among the post-update issues that needs to be addressed and prioritized soon. Bad battery. A bad battery can also put your iPhone into the same state. 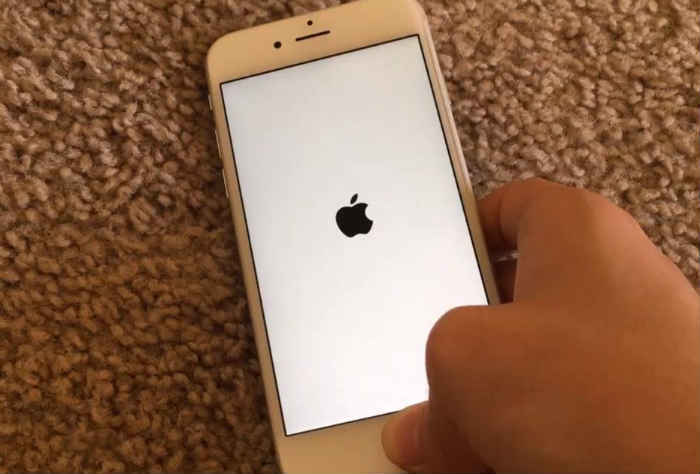 Some owners noticed that their iPhone gets extremely warm while charging only to find out that the battery is damaged and needs to be replaced. If you suspect that your iPhone’s battery is faulty, then you should consider getting a new battery for your device or have it checked first by an authorized technician for further diagnosis and/or repair. The recommended standard procedure to troubleshoot and fix similar problem on your iPhone is to start by looking into the previous actions. This means that you need to look back and try to remember what happened before the problem started. Did you do something or make some changes to certain settings or did you drop your iPhone accidentally? Considering that there are no damages to any of the hardware components, you can try the following workarounds and fixes. Step 1. Uninstall buggy or unstable apps. If your iPhone starts to show symptoms of overheating after downloading or installing certain apps, then you might as well consider removing the app or disable it temporarily. There is a higher chance that the app you just downloaded or installed contains some bugs that causes your iPhone to show unusual symptoms or behaviours. Step 2. Quit playing games and let your iPhone rest. If your iPhone get very hot while playing games or watching videos, just allow it to cool down a bit. Having said that, try to pause your game or video and then let your iPhone rest. Although your iPhone embeds a powerful chipset, it too has limits. And most likely it has already exceeded its limits this time and therefore shows such symptom. Step 3. Uninstall app or update. If your iPhone starts to overheat after you install an update to certain apps, then most likely the update is to blame. It’s normal for updates to contain bugs and this could be the one that’s triggering the device to overheat. As for major software update, it is normal for your device to become warm during the update downloading and installation processes especially if the software update comes in bigger file size. Again the bigger the file to download, the more workload it gives to the processor. Your device should go back to its normal operating temperature once the update download or installation is completed. Step 4. Turn of network-related services when not in use. Should the overheating problem on your iPhone is triggered by a network issue like low signal or no service, then you should try disabling network services on your device momentarily or until the signal strength gets better and stronger. Otherwise, you can just enable Airplane mode on your iPhone 6s so as to turn of GPS, Bluetooth, Wi-Fi and Cellular Data services at once. Step 5. Revert all changes you’ve made. If the overheating problem occurs after making some changes to your iPhone settings, then it means that you might have configured it wrong or messed up the settings and results this problem. If you cannot recall which settings you’ve changed or what changes you’ve made, then your best possible option is to reset all settings and revert all changes that have been made to your iPhone settings. But then again, you have to remember that to reset all settings also means removing your current settings and restoring your iPhone to its factory defaults. So before you proceed, be sure to take note of all your important configurations and options. Use only Apple casing or accessories. Some cases of overheating issues on the iPhone have been linked to the use of third-party casing or accessories. A temporary yet simple solution in these cases is to remove the case or use the original. A slight variation with the design on third-party casing or accessories can result to minor or major issues on the iPhone, including overheating or quick battery draining. Keep your iPhone software up to date. Software updates could be a potential solution especially if the problem is triggered by certain bugs affecting the iPhone’s system functions. Aside from enhancements and additional features, software updates also contain bug fixes, which may be the one thing needed to resolve the underlying cause of your iPhone’s overheating problem. Try to head over to your iPhone settings and see if the most recent iOS 10.3 update is already available for your device. Don’t charge your iPhone when it’s hot. Charging an overheating iPhone is highly discouraged because your device can even get hotter when charging in this state. To ensure safety, let your device cool down before re-charging it. Also use only the OEM-chargers or charging equipment when charging your iPhone. Check and make sure there is no damage to the battery. Carefully check the battery and look for any signs of possible damages like discoloration or swelling. Overheating can also be an indication of a bad battery so you also have to consider checking on the battery especially if the device overheats quickly while charging. You may consider replacing your iPhone’s battery if necessary. Turn off your iPhone for a few minutes. There are also some instances when all you need to do is turn off your device and let it be in that state for a few minutes to completely cool down. Perhaps, your iPhone just needs some rest just like any other machines. If none of these methods is able to fix your iPhone 6s overheating and quick battery draining issues, then this time you should call Apple Support for more help and ask for other options or recommendations. Also consider the possibility that hardware damage might actually be causing your device to get very hot and overheat. Or you can also take your device straight to an authorized service center nearby and have it checked by a reliable technician.